I've got bookend posts from March 1 and March 31. Not much to show in between. I've found friends from Grant Elementary. Fellow Marinette High School alumni are active on Facebook, and there are some friends who are closer now than they were back in the day. I've connected with many former co-workers, at least one from everywhere I've worked since I left college. That's 8 places from which I have a W-2. My circle includes cousins from all corners of my family, even those with whom I have only a paperwork right to say we're related. I'm back in touch with many in my extended family -- in-laws, outlaws and step-siblings -- and even my former step-daughter. My mom no longer feels so far away because her next door neighbor is my Facebook friend. The wonderful young women who cared for my children from infancy are all my friends on Facebook. One has a family of her own and the others are well on their way. I collect friends. The random connections I've nurtured over the 20+ years of my adulthood have joined the fun on Facebook. I count them among my treasures. Mr. O has introduced me to the funniest, craziest, most affectionate group of people from his days living and growing up in Bahrain. They are now my friends, too. I have neighbors who are my Facebook friends. I wave at them around town and then comment on their Facebook status. Although I work with them every weekday, I know more about my current co-workers via Facebook than we could ever discuss during the busy-ness of 9 to 5. There are second generation Facebook friends, the children of people I've known from times earlier than marriage and their offspring. I've also got some people I haven't had the pleasure of meeting but who read the magazine I edit. They are my Paper Crafting Peeps, and I read every one of their status comments every day. Some people I've met as friends of friends are there, too. We've shared more via Facebook than we could possibly understand about each other at a chance social event with whirlwind and interrupted conversation. I'm not sure how I'd be able to happily wrap myself in this connectivity without Facebook. 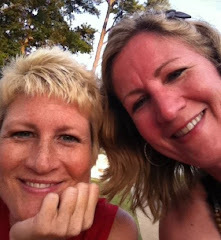 We share trials and triumphs, laughter and tears, sarcasm and wit, photos and lists. It has a heartbeat, this electronic obsession. A lifeline. It's the lion in my life. Great synopsis of the power of the FB. I'm a believer! I'm very very afraid to rejoin facebook (I was on it before everyone below the age of 97 was mandated to join it). But now my existence is slowly flickering due to this decision. If I'm not on facebook, for all practical purposes, I don't exist.